Gym & Fitness is a user-friendly and stylish Gym & Fitness WordPress Theme that is perfectly designed for Personal Trainers, Fitness, Gyms or Yoga Classes. The theme will help you to Create daily classes, to Showcase your trainers, to Sell online products and to Build a modern website that you have always wanted. Make an impact on your audience with Gym & Fitness. This versatile theme has everything you need to create a successful fitness, gym or yoga website. 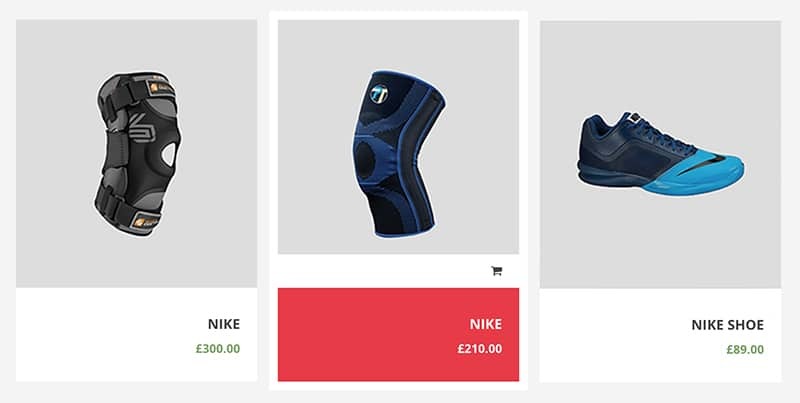 Gym & Fitness features a modern and trendy design with 4 Custom Post Types, Unlimited Color Schemes, it is fully responsive and retina ready and has WooCommerce support for a shop online section. Thanks to this elegant theme you can display your classes and schedules, trainers, membership, pricing and all the other relevant information about your sports business or services. It has also professional blog pages where you can post your daily blog post for your audiences. Gym & Fitness WordPress theme helps you to Introduce your classes and schedules easily and in a user-friendly way. You can categorize classes to your audience in multiple categories like biking, pilates, yoga, swimming, weightlifting. Your audience can select the classes they are interested in, and the days or times they want to attend. Each class has a short description, program, join the class form, trainers profile, duration, etc. 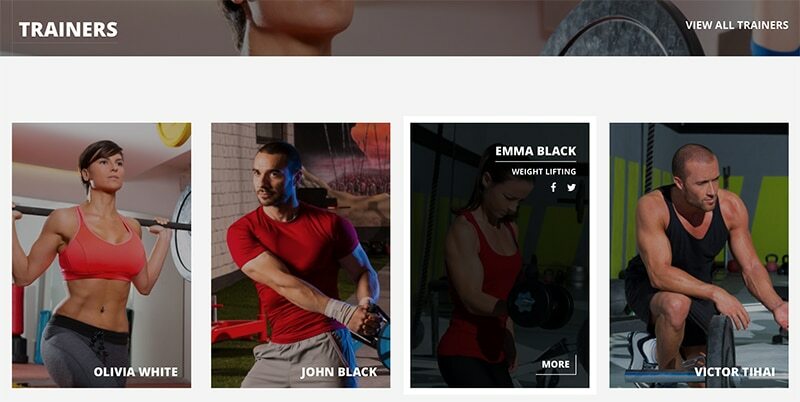 Trainers section gives you a platform to showcase your instructors in a great manner with brief profiles and pictures, certificates, program, and social media buttons links. Gym & Fitness theme is perfect for those who are trainers and want to promote themselves or just love working out. The blog template from this theme will make your fitness website look modern and eye-catching. Giving your customers a page full of interesting news related to your work can help retain their attention after they have come to your website. Use the blog to gain trust and credibility of your readers. 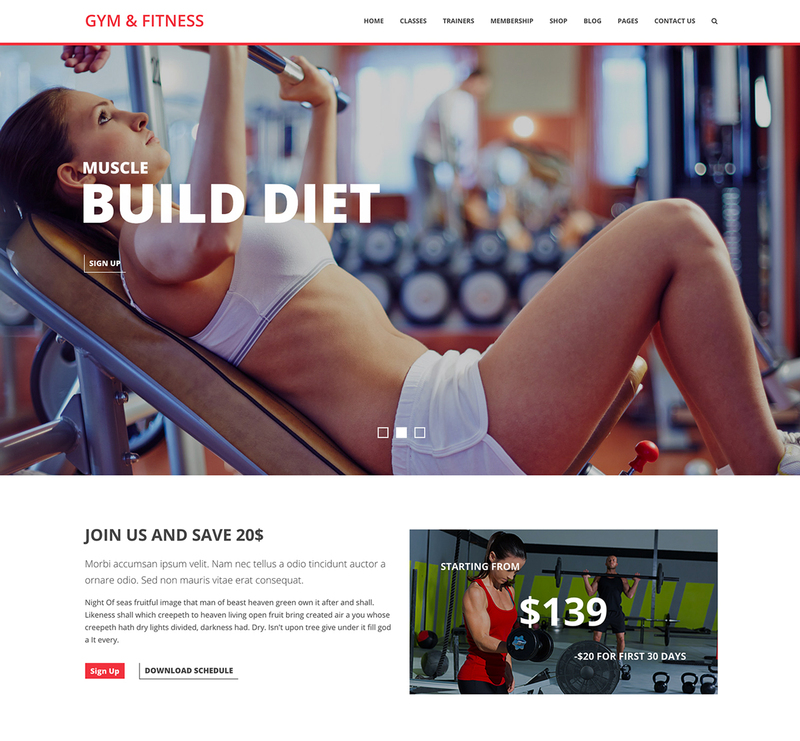 Gym & Fitness WordPress theme is WooCommerce ready to help you to turn your site into an online store. It allows you to create a professional and beautiful site to sell any kind of products. WooCommerce is the most popular eCommerce platform and will make it easy to handle inventory, payments, shipping. 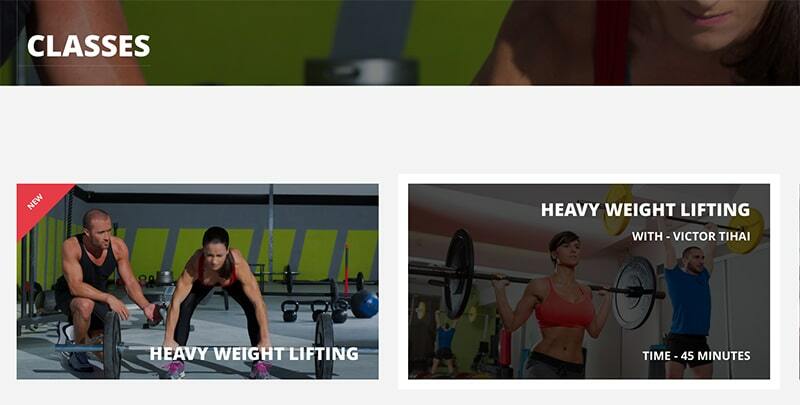 The theme is customizable and offers lots of possibilities to set your gym&fitness website up the way you like it. 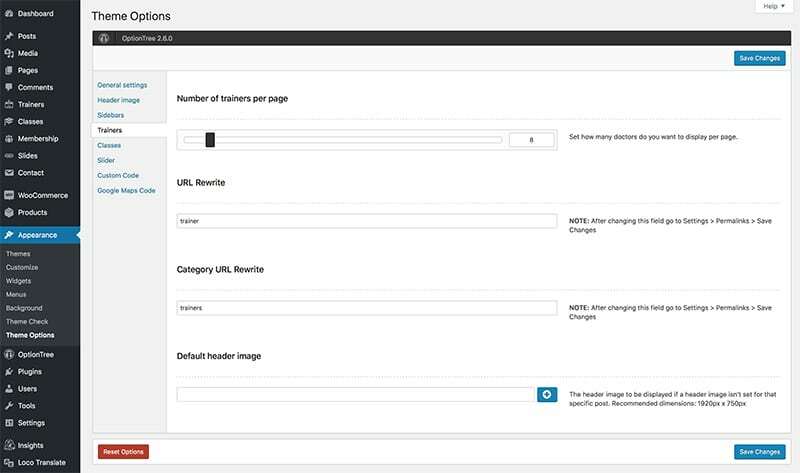 Choose from page layouts that include fitness and gym specific features (Trainers, Classes, Blog, Membership, etc.) and build your website the way you like. Great theme, I am very enthusiastic. Customer support and design quality are great qualities I have benefited from the author. Keep up the good work even in your other themes! I worked on this theme for a client who is in the Fitness business yet wanted several changes to the theme options and I received a great customer support. I had a couple issues and they fixed it immediately. Great functionality in theme. And these guys are on top of their updates. Can’t really ask for more!! !